Even before Apple held its "Loop you in" event, analysts and the company's media detractors were vocally opining that all the announcements would be boring. While there weren't any shocking new revelations to rock the industry, Apple's latest product releases provide some deep insight into where the company is headed this year, starting with the new iPhone SE. The new iPhone SE essentially replicates the "nothing has changed but everything" tagline Apple used to introduce its new iPhone 6s models last fall. Externally, the SE is a slightly refinished iPhone 5s. Inside however, it's virtually identical to Apple's latest and greatest 6s line, with only minor differences. It even has some technical superiorities over the original iPhone 6 models (which cost more). That's great news to anyone who favors the smaller form factor of the iPhone 5 line, with a 4 inch screen featuring a truly one-handed interface. Prior to the event, we'd expressed hope that Apple would liberally enhance its 5 inch iPhone offering to fully modern specs, rather than handicapping it with "differentiating" old technology. It has. Targeting new users without going cheap has been a key factor in Apple's previously successful, mainstream-orientated products, from the original 1998 iMac to the 2013 iPhone 5c, both of which courted new users without diving too deep into feature-compromising territory. In the distant past, Apple once differentiated its Macs by offering severely outdated technology on the low end. It did not work out well. Back in 1990, Apple's "low cost" Macintosh LC was essentially a repackaged Mac II, which was at that point was three years old. The even more entry level Macintosh Classic (launched at the the same time) was basically an ancient five year old Mac Plus in a refreshed box. While initially stoking some new demand, these old and slow "new" product offerings helped cast an anti-halo over the Mac and complicated the platform for developers because the "new" models couldn't even run some of the latest software--resulting in dissatisfaction for users. Google's Android platform suffers from some of the same problems: hardware fractionalization and a massive base of low end devices that simply can't run modern operating system features, notably including Full Disk Encryption, advanced camera logic, smooth game graphics and overall UI, fingerprint sensors and a secure payment element, and even basic features ranging from modern Bluetooth 4.2 connectivity to a functional compass, accelerometer and other rudimentary sensors. This dramatically complicates Google's ability to roll out updates, a problem Apple drew attention to in its announcement of iOS 9.3 at the event. Across the last eight years of iPhone, Apple has followed a very different script, one where every year a dramatically new generation comes out, as a year or two of previous models are made available at a discounted entry price. For the first time however, Apple is now releasing a new mid-year model refresh of a previous generation that bring its right into the performance and features of its top of the line models, and at a new price point that's the lowest ever for a new iPhone. The obvious risk involved with this strategy is the threat of cannibalizing iPhone 6s sales and driving down the company's incredibly high Average Selling Prices for iPhones. However, the larger sized screens of the iPhone 6s and 6s Plus offer a major differentiation that should blunt the impact of any downhill erosion among Apple's existing base of buyers. 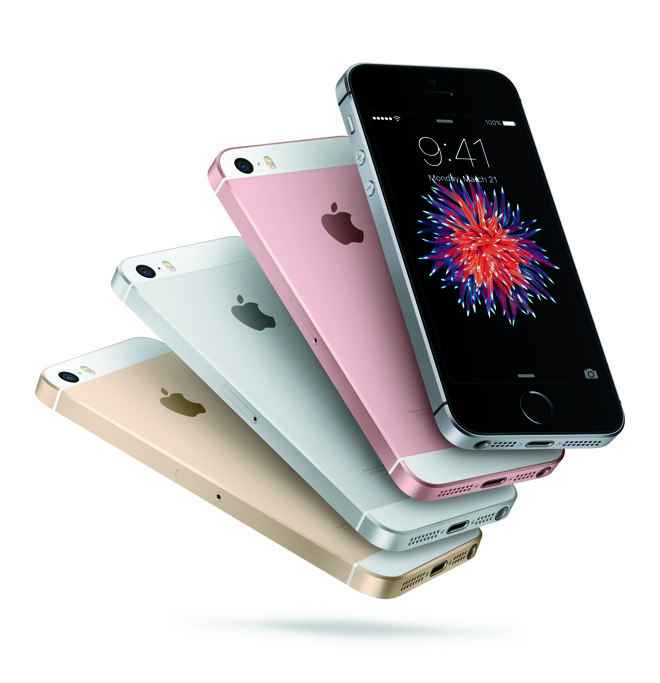 That indicates that the new iPhone SE is targeting a different demographic, one that includes existing owners of iPhone 5/5c/5s who don't really want a larger screen, as well as potential buyers overseas who want an iPhone but balk at the significant price premium of the latest 6/6s offerings. Calling the new device iPhone SE perfectly straddles the line between the earlier 5-era and the new 6 models: it's a 6 inside but looks like a 5. Calling it a 5SE would suggest that the new model is significantly inferior, while calling it a 6SE would raise the question of why it wasn't remodeled to actually look like a 6. The SE's positioning makes it an affordable, unashamedly basic model with top tier specs: good for users, good for developers and a good strategy for Apple itself, opening up the potential for broad new millions of first time customers without doing any damage to the massive, high end iPhone business Apple already has. While rumors had called for everything from an unchanged 5s to a smaller 6s, the new iPhone SE features a familiar design with a new twist. Rather than adopting the rounded sides of the 6/6s models, the SE takes on the lines of the 5s, but with same, toned-down matte finish of the newest 6/6s models. It shares the same metal-matte appearance of the entry level aluminum Apple Watch. This has the effect of aligning iPhone SE aesthetically with Apple's modern product lineup, while differentiating it from the jewel-like brilliance of the polished rim surrounding the original iPhone 5/5s. It subtly suggests a basic newness, the sort of 'entry-level but not outdated' design language that fashion-oriented labels use to anchor their most affordable offerings, without getting cheap. 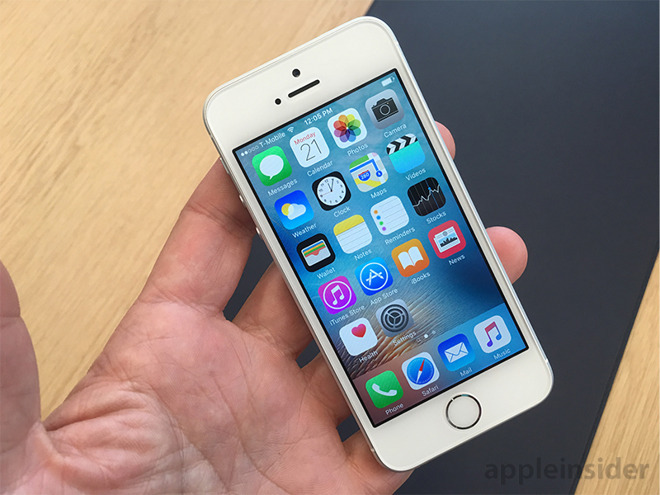 If you've grown accustomed to the larger size of the 6/6s models, iPhone SE feels small. It's missing that substantial jump in pixel resolution Apple debuted with the new 6 back in 2014. However, it's also so much easier to use with one hand that it makes for a very personal, subjective decision as to which experience a user will prefer. Larger "phablet" phones were once a very small segment of overall smartphone demand, but after an incremental introduction by Motorola, Samsung and most other Android makers, Apple jumped into the larger phone market and decisively took over, upgrading most iPhone buyers into large-screen users. However, there's still a substantial population that prefers a smaller phone, regardless of price. Using iPhone SE at the hands on event reminded me of not just how much smaller it is, but also how light it feels. I haven't been tempted to pull my original iPhone 5s out and switch back after having experienced the larger 6 and 6s models, but I certainly can see why a lot of iPhone users will prefer to upgrade to a new smaller phone that doesn't feel like a paper back book commanding most of your pocket. Apart from size, the primary real differences between the SE and the newest 6s models is its lack of pressure sensitive 3D Touch and its slightly slower Touch ID sensor. While signing in virtually instantly with one's fingerprint is generally perceived as good, I've heard some remark that the faster new Touch ID makes it that much harder to see and respond to notifications, because the wake screen immediately gives way to the Home screen the instant you hit Touch ID. 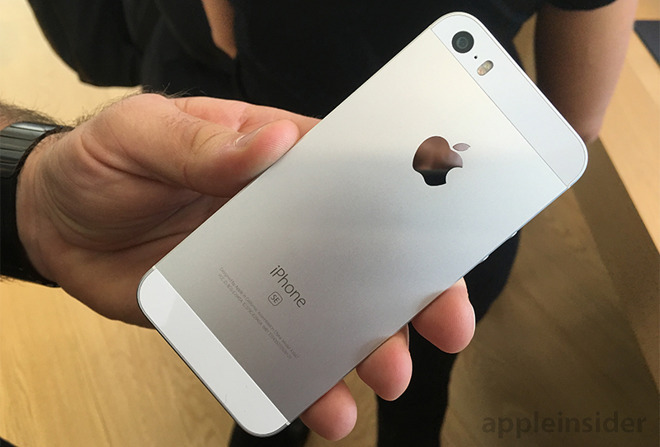 On the other hand, the new iPhone SE sports the same 12 MP camera capable of 4K video capture as the highest end iPhone 6s (albeit using a f/2.4 lens aperture, meaning it sees slightly less light but also has no raised lens bulge), paired with the same A9 processor that delivers advanced imaging logic to power features like Live Photo, 1080p 120fps SloMo, TrueTone Flash and Retina Flash for front-side illumination. Those features--particularly the rear camera and A9 chip--make the SE technically superior to the original iPhone 6 models that start at $150 to $250 more. However, the SE's front facing FaceTime camera is identical to the more basic 1.2MP sensor of the 6, and it lacks certain other features, including Auto HDR in video capture, dual domain pixels (for a wider viewing angle), a barometer (for tracking elevation change and counting flights of stairs climbed), Reachability (unnecessary without a large display), the fastest WIFi via MIMO antennas (SE WiFi is identical to the 6) and support for the LTE Advanced offered in the 6s (again making it identical to the original 6). One other difference over the original 6 and 6 Plus: the new iPhone SE can be ordered (like the new 6s and 6s Plus) in a full range of finishes, including Gold and Rose Gold, as opposed to just Silver and Space Grey. Unlike the 6s models, however, the SE is only available in an entry 16GB and 64GB version (just like the 6 models), with no option for a 128 version. The primary iPhone feature Apple has recently focused its advertising on has been mobile photography. That makes it appropriate that iPhone SE delivers a modern, high end camera sensor and logic for capturing photos, 4K videos and Live Photos. Apple is also obviously interested in expanding the installed base of customers who can use Apple Pay from their iPhone. And with a new entry model, Apple has both refreshed and upgraded its product range while offering a new, significantly lower price point to attract not just new buyers, but new types of buyers in new places. 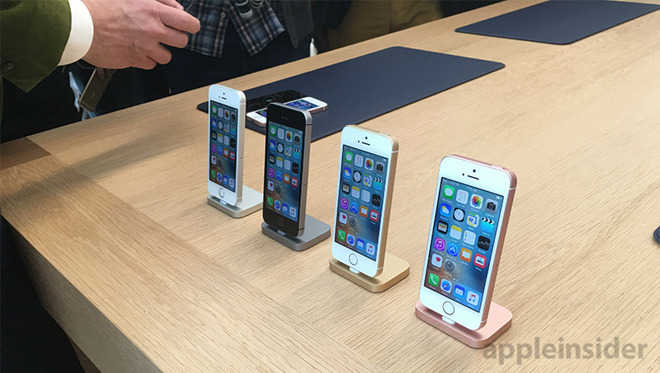 Preorders for the iPhone SE will begin tomorrow, and the device officially launches next week, on March 31. That should give significant boost to Apple's iPhone shipments in the March quarter, which has faced a "difficult compare" with last year during the blockbuster launch of the original iPhone 6 models, which occured during more favorable exchange rates. Beyond short term analyst chatter food, however, the new iPhone SE appears aimed at buyers in developing nations, including India, which has become an important target for Apple's future growth internationally.